Weekly Friday Night Drive Thru Auction! The States' Most Entertaining and Unique Drive Thru SALE! We have two sales a week, every week. One on Wednesday at 9am. The other is our consignor-driven, unique drive-thru auction on Friday nights at 6pm. Consignors line their trucks and trailers at the back door and pull in one at a time until its all sold. Click Here to Bid Online Now! We have all your Springtime and Summer wants and needs! 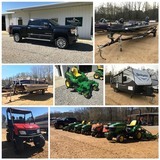 This auction features a variety of items needed for lawn care, vacations, water time and much more! Location: 2355 Faith Baptist Church Rd. 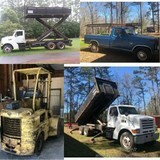 Mississippi Auctioneers Association • Copyright © 2004 - 2019 • All Rights Reserved.